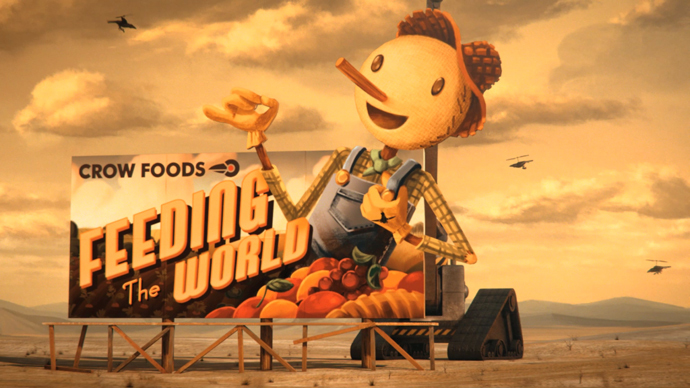 Chipotle and Moonbot Studios make sustainable farming look cool. Yes this is an advertisement and yes advertisements are meant to generate income but this one does so in a very “think outside of the box” way while sticking to the tried and mud slinging/vilify your competition tactics that we all know and love. Only this time, the competition seems to be the entire “big food” industry. In the video they go so far as to even stamp a product “100% Beef-ish.” Genius! This advert is truly powerful on multiple levels. Well done Chipotle and Moonbot. If you were thinking that song sounded familiar it’s the song “Pure Imagination” from the 1970’s classic film Willy Wonka and the chocolate factory sung by none other than Fiona Apple. If you ask me she did a fantastic job. I can’t imagine another artist covering this song the way that Fiona Apple does. This entry was posted on September 18, 2013 by leon in Apps, Business, Environment, Learning, Mental Floss and tagged big food, Chipotle, Fiona Apple, mother earth, sustainable farming.